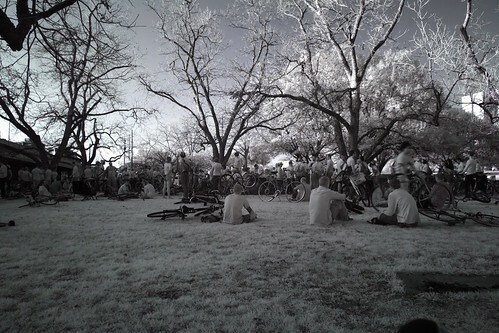 The meeting spot for the Mobile Social SXSW was Festival Beach and Justin Arthur took this photo in infrared. We’re out now for a coffee ride, then back to the tradeshow with posts and photos to follow. Uploaded by justintarthur | more from the Bike Hugger Photostream.